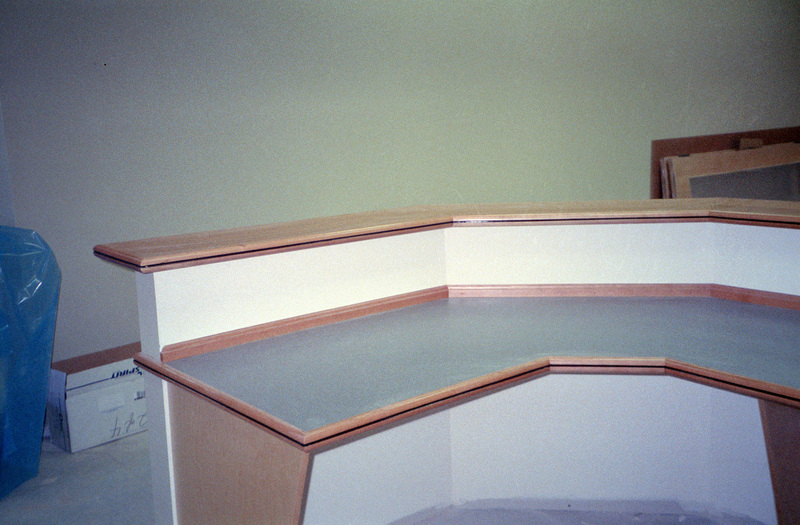 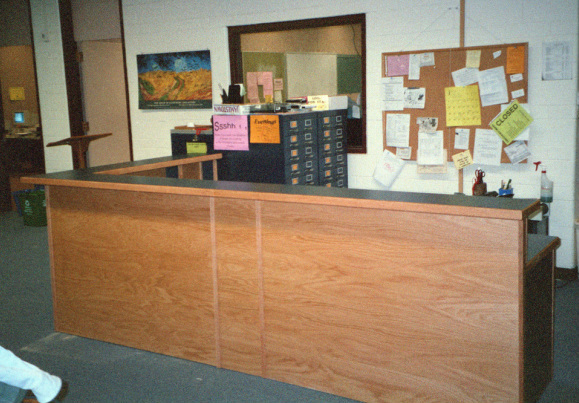 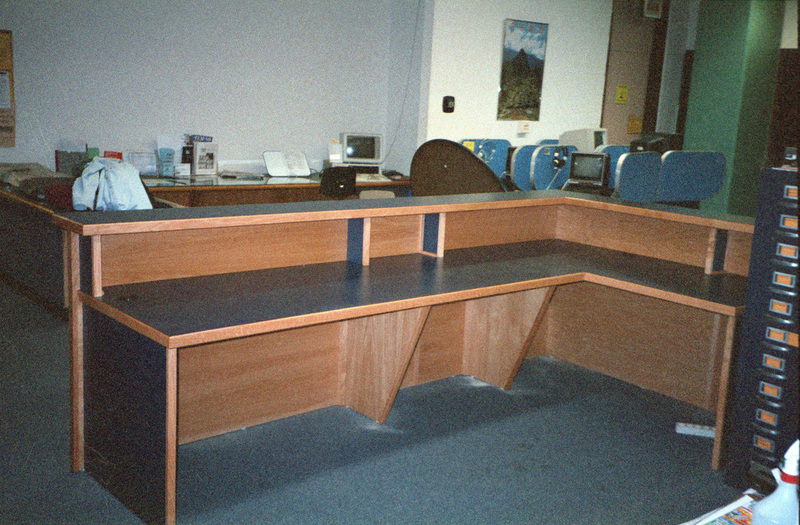 This is the circulation desk for the Cushman library in Bernardston. 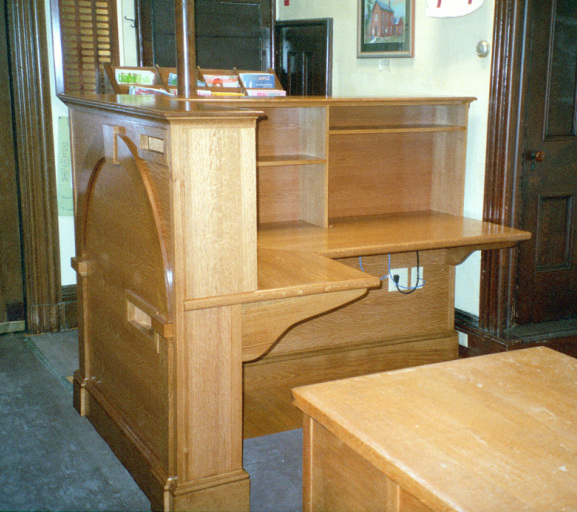 It's built of quartersawn white oak with a shellac finish to match the original librarian's desk in the foreground. 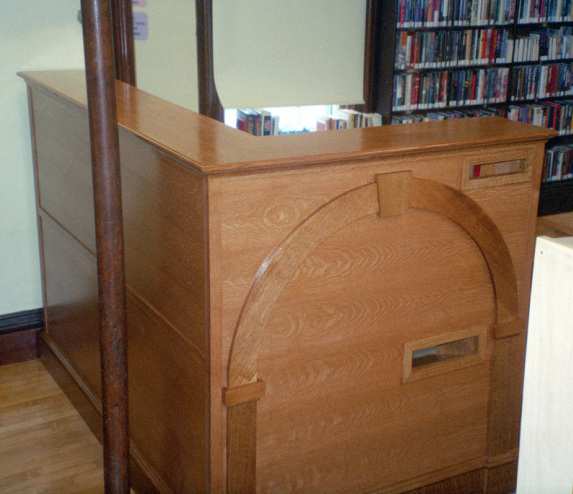 The library is a beautiful brick building with an arch on the front facade, which is echoed here.